Under the pact, said the company Tuesday, Kyrgyzaltyn would exchange its 32.7% equity interest in Centerra for a 50% stake in a joint venture that would own the Kumtor Project. The deal replaces a Memorandum of Understanding signed in September, which was later rejected by the country’s parliament. The document, sent to the parliament Monday evening, recognizes as valid a contract signed in 2009 between the country and the Toronto-based company, saying it would remain in full force and effect, including the tax regime set out in such agreements. The draft deal is quite similar to the agreement rejected three months ago, so it is not clear whether it would win legislative approval this time. Opponents to the project are already making waves. Local news agency 24, quotes an expert calling lawmakers to, once again, reject the non-binding pact on the grounds of unaddressed environmental concerns. 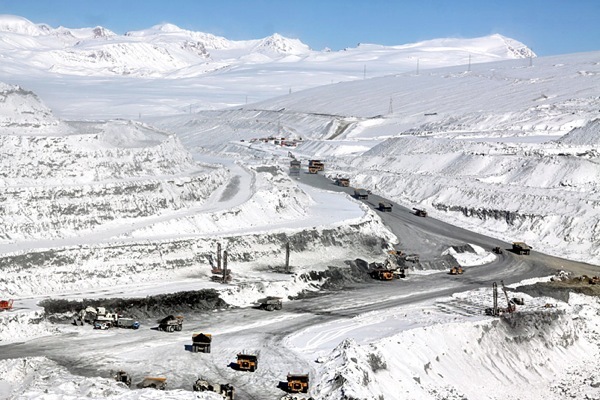 “If a new tailing dump is not installed on Kumtor now, the gold mine will have to stop operating in five to six years,” Maksat Mamyrkanov was quoted as saying. According to him, the construction of a new tailing would cost about $70 million, amount he deems excessive, but necessary. “Otherwise Kyrgyzstan will be half-responsible for all the [environmental] violations,” he added. Despite endless political turmoil, Centerra has successfully operated the Kumtor mine since 1997. The Canadian miner is a significant employer and taxpayer in the country and a key contributor to the Kyrgyz economy. In fact, the Kumtor open pit gold mine accounts for 60% of the nation’s industrial output and, according to the company, it is the largest gold mine operated in Central Asia by a Western-based company.